I’ve been following the discussion on the ‘trainability’ of different breeds of horses with interest. In my job I meet a wide variety of breeds with a wide variety of training problems. It might seem simplistic, but in most cases I find it useful to be very clear with clients that horses learn by reward - they are, if you like ‘hard-wired’ to do so. The bigger the reward, the more likely the horse is to learn. However, the reward must really be a reward from the horse’s point of view. Not only do different horses find different things rewarding (I have one who loves a drink of hot water above all else! ), but their desires fluctuate over time, so what is rewarding at one time may not be at another. To use a human example, you may love chocolate, but if you are desperately thirsty, or have just eaten a whole chocolate cake, then a piece of chocolate may not seem like much of a reward! I’ve had cases where a client has claimed that clicker training doesn’t work with their horse and this has been easily remedied by changing the food reward used in the training - I sometimes use linseed pellets for clicker training but it does seem to make horses fairly thirsty, so they lose interest in the treat after relatively few trials. Using more traditional training methods, different horses find different degrees of pressure in different places more or less aversive, so removal of the pressure will be less of a reward for some than for others. 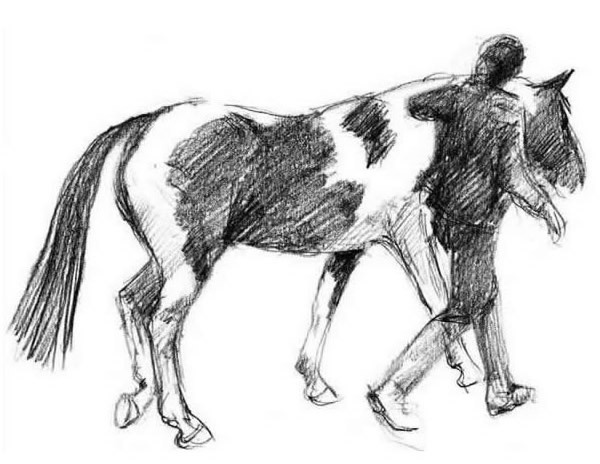 To take a couple more examples, if your horse has back pain, then the removal of light pressure on the bit is unlikely to register as much of a reward, as this pressure may have been fairly unimportant to him. If he feels unsafe at one end of an arena, taking him away from this place may well be much more of a reward than offering him a bit of carrot in the scary place. And so on. 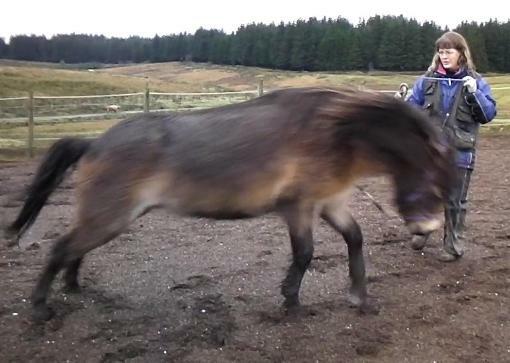 I could say that my Exmoor pony, Elvis, is hard to train. But, as always, it is all about reward. He learned to pull away from me when I was leading him across a field with much better grass than his after only one trial, so there’s nothing wrong with his ability to learn - in this case the reward was huge, and the behaviour that led to that reward was solidly established very quickly. When he isn’t learning something as quickly as I would like, I need to think about the consequences, from his point of view, of his current behaviour, and of the behaviour I want and make sure the latter are definitely better, then let him work that out too!